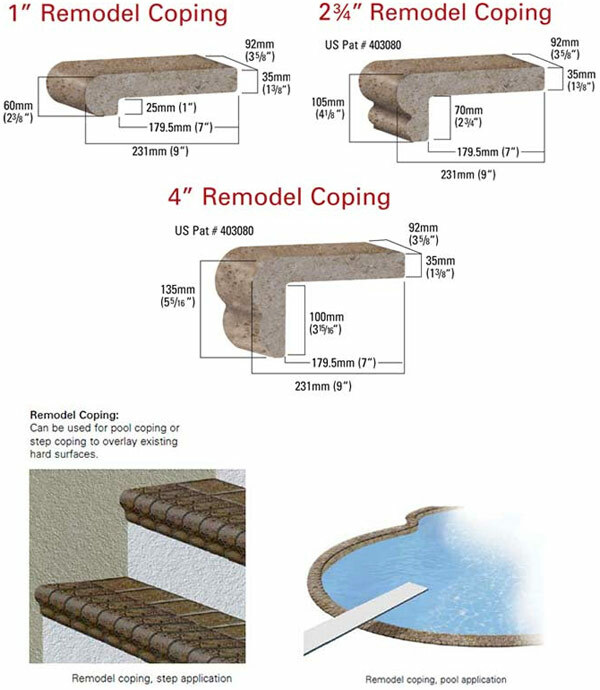 Remodel coping for overlays of existing hard surfaces only. Allow 3 pieces per linear foot with 3/8" grout joint. Add additional pieces to order for corners, smaller grout joints, curves, bends,etc.